The Admiral is currently Director General of Nuclear and Technological Development of the Navy. RIO DE JANEIRO, BRAZIL – This morning (Friday, November 30th), president-elect Jair Bolsonaro named Admiral Bento Costa Lima Leite de Albuquerque Júnior to take over Brazil’s Ministry of Mines and Energy. Admiral Bento Costa Lima Leite de Albuquerque Júnior to take over Brazil’s Ministry of Mines and Energy, photo by Felipe Barra/Agencia Brasil. The Admiral is currently Director General of Nuclear and Technological Development of the Navy. Born in Rio de Janeiro, Albuquerque Júnior began his career in the Navy in 1973. He holds a postgraduate degree in Political Science from the University of Brasília and an MBA in public management from Fundação Getúlio Vargas (FGV). 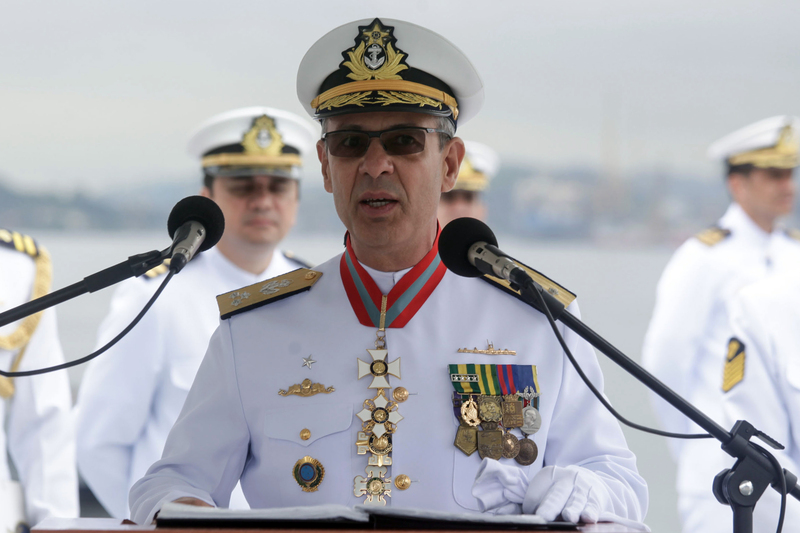 He was commander in chief of the squadron, chief of staff of the Navy Command and commander of the Brazilian Submarine Force. Outside, the admiral acted as a military observer for United Nations peacekeepers in Sarajevo, Bosnia and Herzegovina. He is the twentieth minister’s name announced so far and the current forecast is that of the current 29, 22 ministries will remain. Bolsonaro’s intention is to reduce the number of ministries to streamline resources. At one point his team announced they planned to reduce the number of ministries to fifteen, which me some criticism. Bolsonaro also said that he intends to reduce the number of staff commissioned in the Executive arm of the government by thirty percent. As an ex-military officer and someone who praised the dictatorship-days in Brazil, it has not gone unnoticed that so far there are four military leaders announced as ministers. The engineer Tarcisio Gomes de Freitas will lead the Ministry of Infrastructure, which will bring together Transport, Ports, Airports and Civil Aviation. General Augusto Heleno goes to the Office of Institutional Security, General Azevedo e Silva for Defense and General of Division Carlos Alberto dos Santos Cruz will be Minister of the Secretariat of Government.